The 70th Anniversary of the United Nations (UN) was celebrated last year. 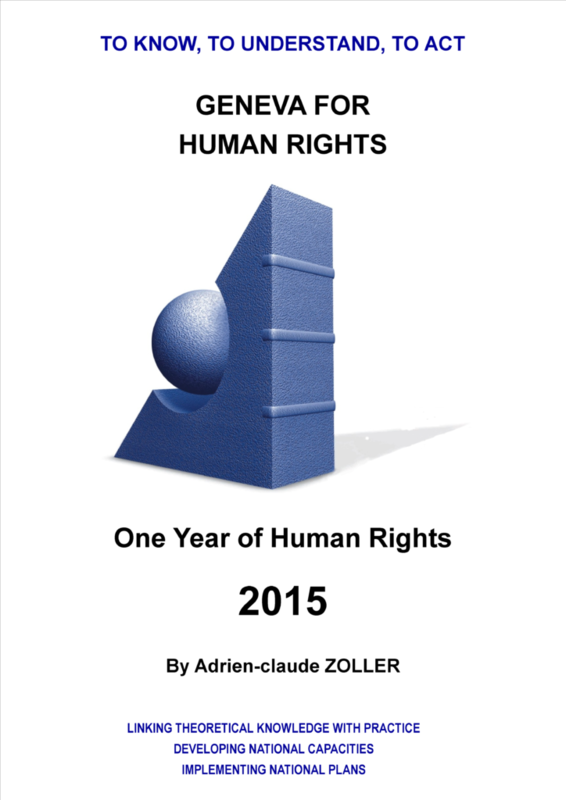 In the field of development and human rights, landmark agreements in the framework of the UN marked 2015. A first momentous event took place with the Third International Conference on Financing for Development (FFD3), held on 13-16 July in Addis Ababa, as Governments adopted a new global framework for financing sustainable development. On 25 September, the General Assembly adopted the ‘2030 Agenda for Sustainable Development’. The Millennium Development Goals (MDGs) launched in 2000 are now to be followed by the 2030 Agenda, ‘an agenda for people, to end poverty in all its forms – an agenda for the planet, our common home’ , which is composed of 17 goals and 169 targets to wipe out poverty, fight inequality and tackle climate change over the next 15 years. These global goals constitute a universal, integrated and transformative vision for a better world. And, on 14 December 2015, the so-called COP-21 Conference adopted the ‘Paris Agreement on climate change’, by which the international community rose to the challenge and took steps to curb emission and boost climate-resilient growth. In Geneva, 2015 was also a fruitful year for the Human Rights Council, with an excellent President, Ambassador Joachim Rücker (Germany), who encouraged the 47 member States to adopt innovative steps, including a Panel to discuss the situation in a country, a lower number of Panels and of resolutions, and a voluntary calendar for thematic resolutions. At the beginning of his term, the President announced three priorities: to improve the efficiency, the effectiveness of the HR-Council and its relations with New York. Thus, several informal meetings were convened with the High Commissioner, Mr. Zeid Ra’ad Al Hussein, in-between the ordinary sessions, and the HR-Council held Special meetings with the President of Palestine and of Venezuela. At the request of the European Union, on the first day of the 29th session (15 June), the HR-Council held an enhanced interactive dialogue (EID) on the human rights of migrants. This new work format should allow the HR-Council to respond in a timely and substantive manner to important global human rights concerns. At the same time, with the support of the Bureau, the President pursued a sustained and unprecedented action to oppose any reprisals against civil society organisations and defenders participating in the work of the HR-Council. Last but not least, more attention was paid in the deliberations on the follow-up, the implementation in the field. In 2015, the HR-Council extended all the Special procedures which had to be renewed. It created two new procedures, on the right to privacy and on the rights of persons with albinism, established a forum on human rights, democracy and the rule of law, and recommended that the Secretary-General establish a Forum on People of African Descent. In 2015, the HR-Council also held two Special Sessions, respectively on the crimes committed by Boko Haram (1 April), and on preventing ‘further deterioration of the human rights situation’ in Burundi (17 December). However, at the same time, 2015 marked worsening crises around the world, especially the civil wars in Syria and Iraq, and the unprecedented refugee flows it caused, the most dramatic outflow in Europe since WWII. With massive human rights abuses and conflicts in Libya, Yemen, South Sudan, Somalia, Sudan, Eritrea, millions displaced persons totally depend on humanitarian assistance, which no longer can meet the needs. With desperate attempts to keep the power, widespread corruption, exacerbated inter-ethnic tensions and lack of political will by the regional and world powers, the number of victims is likely to increase. Not to speak of the millions of climate refugees who will soon have to join the mass of forcibly displaced. 2015 was also a year of horror. The terrorist attacks in Paris, in January and November, will be remembered. Extremism and terrorism affected many other societies, in Nigeria, Cameroon, Kenya, Egypt, Lebanon, Turkey, Indonesia, Mali, Burkina Faso, Denmark, Belgium, the USA. These crimes change the perception of security and social harmony, and challenged the basic values of democracies. It is critical to counter the threats posed by these groups, in particular Da’esh, Boko Haram, al-Shabab, but it has to be done in the respect of the Rule of Law. A major risk is to gradually demonize and scapegoat people on the basis of their religion, ethnicity or country of origin. Unfortunately, the gap between international (UN) agreements, decisions and values, and these realities is still increasing. Preventing should be prioritized. However, in the UN human rights institutions, States decide. In the HR-Council, the hardliner States do not attend to promote human rights, but to avoid scrutiny. Thus, Burundi succeeded to be elected in the HR-Council: it has a vote to oppose decisions which a large group of States would like to take to prevent further massacres. Secretary-General Ban Ki-moon, UN News, 25 September 2015.